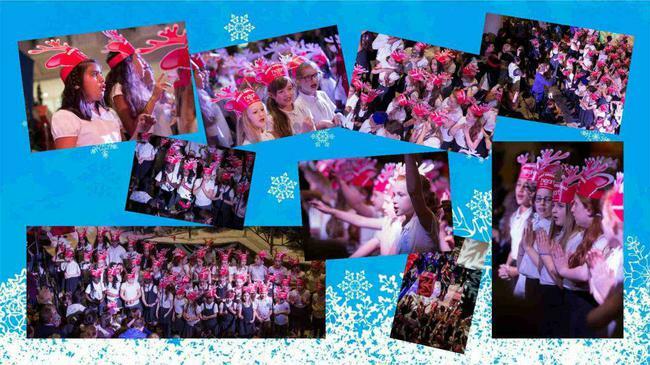 “On Thursday 17th September, our school singing club, comprising of 100 children from across the school, sang in the Marlands shopping centre for the turning on of the Christmas lights. The children performed songs from a large repertoire learnt over a few years and thoroughly enjoyed themselves. The performance included traditional Christmas carols, songs depicting events from the Nativity Story and upbeat popular Christmas songs. The event was AMAZING and was loved by all. The children can’t wait to be invited back again next year! !